Order UK made caravan door, bed, roof light and gas bottle locker gas struts online. All of our gas struts for caravans are in stock and delivered next day. If you can't see your model of caravan gas struts listed, then please contact us and we can quickly find you a replacement. Take a look at all of our gas struts for caravans today. Caravans are perfect for ‘staycations’, but did you know that they’re full of gas struts? 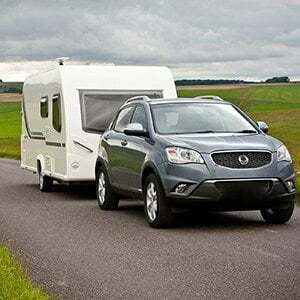 Caravan gas struts are used for everything from popping open the sky roof to opening gas lockers and even unfolding beds. We have a number of gas struts for caravans available, so take a look at the full range of caravan struts online today. When it comes to your caravan, you’ll find your caravan struts in three main places: the sun roof, the gas locker and windows. You may also find them under foldable furniture such as tables or cupboards, or even as part of under bed storage. This is why we stock a number of different types of caravan gas struts, including everything from caravan window struts to a caravan front locker gas strut. SGS carries the largest stock of gas struts and gas springs in the UK, all manufactured in our new modern purpose built manufacturing facility based in Derby. Our range of replacement gas struts is vast, with off the shelf direct equivalents for domestic and commercial applications requiring no modification. With everything from a caravan front locker gas strut to caravan window struts available, we’re your one stop shop for caravan gas struts. Even if your strut isn’t listed online we can still help - contact our sales team for a same-day quote.